Vernon’s new work the island features in Boundary Lines at Griffith University Art Museum. Three works form his the installation – a 10 minute 3-channel video with two large text works. We also worked with Vernon and the Museum team to develop two tshirts to accompany the exhibition. These are not available online or from our occasional markets. 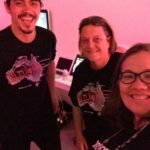 They are only available from Griffith University Art Museum and only for the duration of the show. Artists: Vernon Ah Kee, Daniel Boyd, Carol McGregor, Rosangela Renno, et al. Dark+Disturbing Christmas Pop Up opens tomorrow until Christmas Eve. For the 3rd year in a row, we’re excited to open our Iscariot Media office for last minute Christmas shopping. Our shirts are available for $35 dollars each (normally $45 online). We’re open from 15th December until 24th December at 1pm until 7pm. The entrance to the shop is on Clifford St (through the glass sliding doors with 259 above it). Street parking is available. Where are we? Iscariot Media, Suite 4/259 Stafford Road, Stafford, Brisbane (entrance is on Clifford St through glass doors with 259 above). 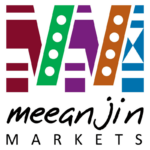 Our online shop is closed for the next four days as we are Meeanjin Markets in Brisbane. We’ll be back online as soon as possible with our updated stock! Find us at Meeanjin Markets! We have temporarily closed the online shop for both the Easter break and to prepare for the Meeanjin Markets. 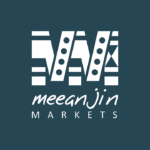 Meeanjin Markets are part of the Festival 2018 of the Commonwealth Games, and we’re very pleased to have a presence there. After the success of our Christmas Pop Up shop, we’ve decided to trial a monthly Saturday Pop up shop in Brisbane. 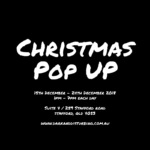 We’ve decided to hold our first ever pop up shop in Brisbane over the next few nights in the lead up to Christmas Day. Just a quick announcement to let you know that the shop is back online after our weekend in Sydney. We don’t have all of our stock listed – you’ll notice the proppaNOW shirts are missing. They’re currently in transit from Sydney and will arrive in a little while. We had a great time at the MCA on Friday evening. 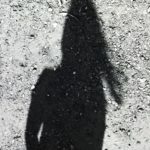 We met a lot of new faces who hadn’t heard of the proppaNOW artists before. Just a quick announcement to let you know that we’ve taken the shop offline for a week as we both rebuild the old website and pack up our shirts and head to the Museum of Contemporary Art in Sydney for the annual Christmas MCA ArtBar. We’ll be back home very late on Tuesday evening, and we’ll spend all day Wednesday updating the website’s inventory and getting the shop back online. Well it is that time of the year when our shirts are in high demand! This year we had a couple of events later in the year than usual, so this has also depleted our stocks. Despite this you can order Australia Drive It Like You Stole It and I See Deadly People on BACKORDER until 21 December.